Since this site is always a "work in progress" I figured this might be the easiest way for viewers to keep up to date with revisions. Updates are listed chronologically starting with the latest. 8/1/2016 Added new Ed Nored comment to his page section dated 11/29/69. 11/3/06 Sorry for being so long in "updating" the updates. Been really busy. I would highly recommend viewing the "Ed Nored Story" section of the website as that has been were I have been spending most of my time lately. Very extensive photos and stories. 4/12/06 Received email from Bobby Aldridge asking for correction to his name on the roster and to add his email. Bobby was with 3rd platoon 69/70. 1/29/09 Received Ed "Spooky" Noreds Vietnam book with stories and photos. I have added a section for Ed on the home page with a link to the section I have set up. I am adding the stories and photos along with links to the "daily officers logs" for each of the days Ed refers to. This is a long term project so updates will come as I can get them done. 1/22/06 Received multiple roster updates from John Butler, Ed Nored, and Treetop. updated roster with additional names and info. 1/20/06 Received email from Ed "Spooky" Nored. Added his email to roster. 1/17/06 Received email from Don "Ketch" Ketcham added his email to roster. 1/17/06 Received email from Wally Cezak added his email to roster . 1/14/06 Received email from Lt Mike Piekarski added his email to roster. 1/11/06 Received email from "Treetop" with 2 corrections and 31 new additions to "roster". 1/2/06 Received email from Randolph "Treetop" Foriest. Added his email to the roster. 12/4/05 Received email from Jerry Reeves (69/70) D co 1/8 3rd and 4th platoon with names and platoon assignments for a number of people on the roster. Also added his email to the roster. 11/25/05 Contacted Dan Andresen about doing a "Tribute page" for Terry. Added new Tribute page with Dan's emails. 11/24/05 Contacted Joe Bauer about doing a "Tribute page" for Leonard Bauer (KIA 4/18/70). Added new tribute page with Joe's emails. 9/05 Added "Pappy" Loughrans poem to website. 9/05 Added 1/8 Cav reunion photos to website. 02/11/05 Added new photos of Quan Loi sent by Ed Griffith. 01/08/05 Received over 1 hour of audio tape of a fire mission from Ed Griffith. Placed new page for audio and clips. 11/23/04 Received email from Bob Smith. Company Commander from Dec 68 to Jun 69. Added his name and email address to the roster. 11/6/04 Received email from Gary Grimes (2nd platoon squad leader Mar 69 - Mar 70). re: Jim Goolsby, KIA 10-Jun-69. I have updated the roster. 8/24/2004 Added message board to website. 7/26/2004 Fixed roster (alignment of DEROS date is wrong on 3 people.) Fixed "rappelling tower" photo in Ed Griffith Misc photos. (should be water tower). Moved link (see story) from above photo to Terry Valentines photo of rappelling tower. Changed photo of mule in dictionary to actual photo. 7/19/2004 Revised company roster (the list) with spelling and platoon assignments as provided by Bill Hunt. 7/11/2004 Revised company roster (the list) to add names provided from "official" company roster dated Oct 1, 1969 as provided by Terry Valentine. 7/5/2004 Added Terry Valentines Photos. 7/2/2004 Updated Terry Valentines email address. 5/8/2004 Added recent photo of myself to Gordon Swenson Vietnam Photos page also updated Intro page to note landing at Tan Son Nhut airbase and added comment and link to "Short Timers calendar". 5/4/2004 Received email from Terry Valentine added email address and name to roster. 5/1/2004 Cleaned up some of the hyperlinks that were incorrect. Also fixed the corrupted log file for June 3 1970. 4/17/2004 Added LZ Kathleen photos and changed Ed Griffith photos link to include all new LZ Photos. 4/04/2004 Added "1st Cav latest news from Iraq" to main page. 4/03/2004 Added map page for LZ Kathleen and linked from aerial photo located on Ed Griffiths photo page. 4/01/2004 Updated names listed on some of Ed Griffiths photos. 3/30/2004 Received email from Ed Griffith our Arty FO. Added Photos link and new page. 3/29/2004 Added "Ann Margaret and Her Gentlemen" page. 3/28/2004 Updated links to KIAs in roster to new links. 3/22/2004 My wife found a bunch of pictures in an old scrapbook that I had forgotten I had. I have added them to the "photos" section. 3/14/2004 Received link exchange request from John Wavra A Battery 6/27th Arty out of Quan Loi. www.quanloi.org added link in "links" section. 2/18/2004 Added names that Scott gave me and Scotts' email to company roster. 2/18/2004 Received photos of the P-38 pistol that Scott was able to bring home. Added comments and page. 2/17/2004 Received email from Scott Lemanski. Added his name to the company roster. 2/10/2004 Added "Honoring the Fallen, Quietly" page. 2/10/2004 Added "It's an Enlisted mans thing" page. 1/16/2004 Added additional comments to intro page re: 249th General Hospital. 1/02/2004 Cleaned up photos on John Butlers photos page. 12/21/2003 Added link and banner for www.donutdolly.com to Links page. 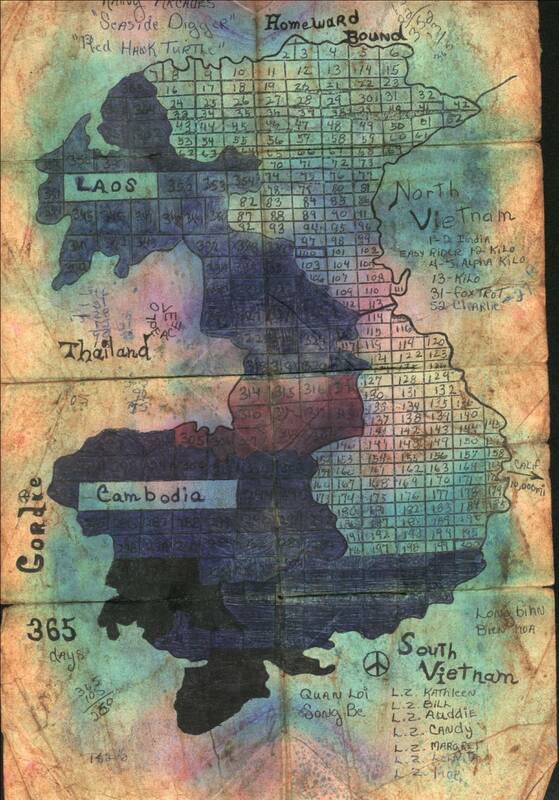 12/13/2003 Added link to "Vietnam Dog Tags" web site in Links. 11/22/2003 Added update for 2004 reunion to "Home Page" with links. 11/16/2003 Added article about Vinny Scarretti's sister to Vinny's Photos page. 10/30/2003 Added John Butlers picture to intro page with re-direct. 10/26/03 Added photos and web page of Vinnys' photos. 10/24/03 Received email from Vinny Sciarretti, nephew of Vinture Sciarretti KIA in April of 1970. 10/4/03 Added info about Gen Galvin to John Butler comments. 9/28/03 Received picture from John Butler that was a picture of myself. 9/27/03 Added John Butler Comments and moved pictures around. 9/19/03 Added John Butler pictures. 9/17/03 Received email from John Butler added him to roster. 9/14/03 Added foo gas to 26 jan and dictionary. Also added counter. 9/13/2003 Added "noise, lights and groups" comments to Feb 19th 1970. 8/30/2003 Added Betty Crocker "care package" to 22 Apr. Added "orangutans" to 9 Apr. 8/13/2003 Added definition of a CA to 7 Mar, updated site map, added bus window comments to intro. 8/11/2003 Added links to Rolando and Lee Salazars' web sites. 8/10/2003 Added "the flight from Travis", "flight home" and "First Team Magazine" with comments to Intro. 8/09/2003 Added "C-Rations" to dictionary with link to a description page. Also added P-38 to dictionary page along with photo. 8/03/2003 Added "Smoke Grenades" to 8 Feb. Added "Showers" to 22 Jan. Added "Latrine duty" to 5 Apr. Added "Red Clay" to 9 Mar. 8/02/2003 Added "River Crossing" to 27 Apr. 7/27/2003: Added "Leeches" to 13 Jan. Added "Chair Building" to 21 Jan. Added "Slung Body Bags" to 29 Mar. 7/26/2003: Added Howard Burbank "Chickenman" Quan Loi photo. 7/20/2003: Found and added B 2/7 website and "Chickenman" website added both to "links" page. Also added link to "Call Signs" page in shared border. 7/19/2003: Updated company roster to show additional 2nd platoon members after determining correct info. 7/19/2003: Added story about the snake to 2/7/70. 7/12/03: Received email from John Dennison, 1stcavmedic.com re: my site. 7/6/03: Receive pictures via email from Stan Hall and post to site. 7/4/03: Adding more comments to daily activities. 6/30/03: Receive guestbook entry from Dan "Doc" Greenberg"
6/25/03: Received email from Susan Hall informing me that Stan Hall is "Alive and Well". 6/17/03: Site shows up on "Google" for the 1st time. 6/15/03: Changed from a "frames" based site to "shared borders" so web bots could search site better. 6/4/03: Started adding comments to different days events. 5/31/03: Received email from "Tall Comanche" C 2/5 1st Cav webmaster re: my site. 5/17/03: Received first email response from site. 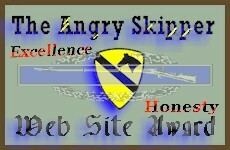 5/4/03: Joined 1st Cav Web Ring. 3/17/03: Contacted Jumping Mustangs home page to let them know what I was doing. 1/3/03: The process starts to put the site together. Permissions requested and granted to use some of Pete Testers pictures.